Sarika Gupta is a development economist who conducts research related to governance, social protection, and poverty in South Asia. She has completed her Ph.D. in Public Policy from the Kennedy School of Government at Harvard University and will be joining the World Bank as a Young Professional this fall. She is an affiliate of Harvard's Institute for Quantitative Social Science (IQSS) and Evidence for Policy Design (EPoD). 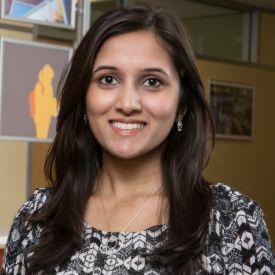 Prior to graduate school, she worked for the Abdul Jameel Latif Poverty Action Lab (J-PAL) in India where she helped manage a large-scale field experiment examining the provision of public services in low-income communities. She has also worked at Plan International and the Center for Economic and Policy Research in Washington D.C.
Who does not get caught by social safety nets?